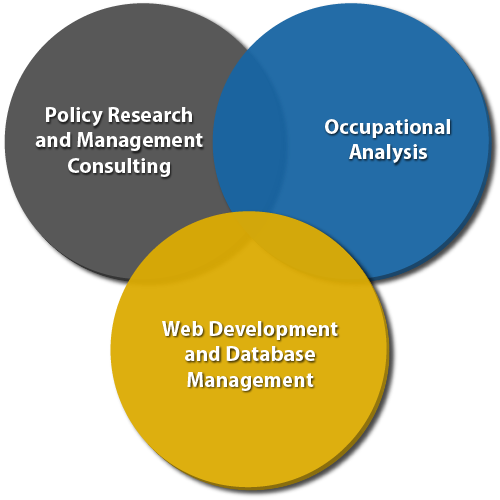 SOLID provides policy research and management consulting, occupational analysis, and web development and database management services for government and private sector clients. We can do the basic research, provide the analysis, frame the results, and deploy them via the most appropriate media channel to make your project a success. All quickly, responsively, and efficiently. Click the circles to learn more.